Conveniently located between Harvard and Porter Squares, Temple Bar offers a warm and welcoming charm. Accented by the exposed brick, oversized mirrors, lights and booths and oak enamored paneling, guests enjoy the buzz and excitement of Temple Bar. While waiting for a table, guests are encouraged to enjoy Temple Bar's unique copper bar. Alive with people, it offers conversation and chance to unwind. The late night lounge scene brings a trendy and intimate atmosphere complete with Temple Bar's signature martinis. 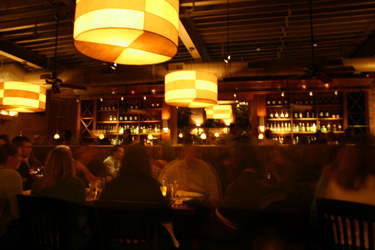 Temple Bar's kitchen is helmed by Executive Chef Michael Scelfo. Over the years, critics' reviews of Scelfo's techniques have reflected his culinary philosophy: serious food does not have to be pretentious. His ever evolving culinary style is heavily influenced by local, seasonal produce.